As you can tell from the title this is going to be another review today, but I've been wanting to do this review for a really long time but every time I planned to something had came up so I am finally getting around to editing this blog post and putting it up. Introducing a whole new Match Perfection, a make up match like you've never seen before - traceless coverage with advanced smart-tone technology reveals a perfectly flawless you, no matter what the light; from the bathroom, to work, to the pub, your natural colour never changes. It completely conceals imperfections with no foundation line, and no make up mask. It's enhanced with sapphire radiance for an illuminating glow that never falls flat. It's natural, flawless coverage look with a fresh finish is perfect for any skin tone... and it lasts all day! What more could you ask for? If you have been following me for a while on my old blog, my instagram or my twitter you will know already how much I adore this foundation. 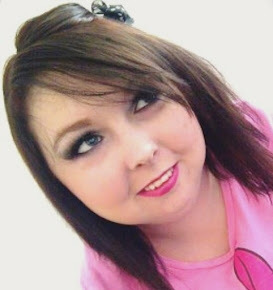 Because I have such pale pale skin, like Snow White pale, I always find it really hard to find a good foundation that will match my skin tone well or I have to mix two foundations together and that's messy work to do for me to find the right mixture for the right shape without me looking terrible. 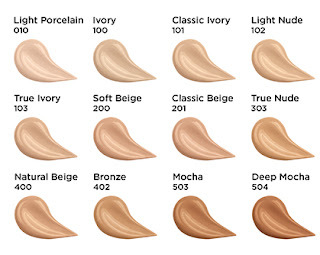 I personally find that if my foundation isn't right on my skin, my whole make up look isn't right. I had heart so many great things about this foundation and I thought I would give it a go, that was nearly three years ago I think. Since then, apart from many once a month or so, every single time I do my make up I use this foundation. It is the best foundation I have found for my skin. Rimmel London Match Perfection Foundation is SPF 18 and there are 11 shades available (I use shade Light Porcelain 010) and it is a match so perfect, it's undetectable in any light! 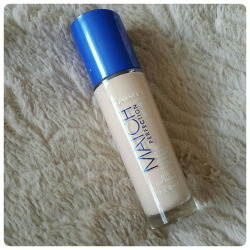 You can buy Rimmel London Match Perfection Foundation for the Rimmel London website or from Boots Online for £6.99 (excluding P&P). Or you can buy Rimmel London Match Perfection Foundation from SuperDrug Online for their offer price of £4.99, and there is also a buy one get one half price on there too! I hope you enjoyed reading this blog post, and don't forget that I am posting a new blog post every day this summer so come back tomorrow to see what tomorrow's blog post is going to be about?